Today, Ignite National Technology Fund has launched a brand new website. The website has been specially designed to be inclusive for the internet users with visual impairments. The mission of Ignite National Technology Fund is to fix the innovation value chain in Pakistan. In order to achieve their mission under the Ministry of Information Technology & Telecom, they believe in equal representation of all social groups including the big number of visually impaired emerging youth in Pakistan. One of the core values of the organization is to educate people on how to defeat all challenges, social or physical, and excel against all odds. Ignite has developed a new website that enables visually impaired and people with other disabilities to make the best use of its funding resources. One billion people, or 15% of the world’s population, experience some form of physical or mental impairment with its prevalence being higher in developing countries. One-fifth of the estimated global total, or between 110 million and 190 million people, experience significant disabilities, according to the World Bank. People with impairments, on average and as a group, are more likely to experience adverse socioeconomic outcomes than people without such impairments. These may include less education, poorer health outcome, lower levels of employment and higher poverty rates. Ignite has already provided funding worth Rs124 million for training and development of new applications for people with mental or physical challenges. We employ innovation to help fellow citizens, challenged by impairments, to lead engaged and fulfilling lives,” commented national technology fund Ignite CEO Yusuf Hussain. 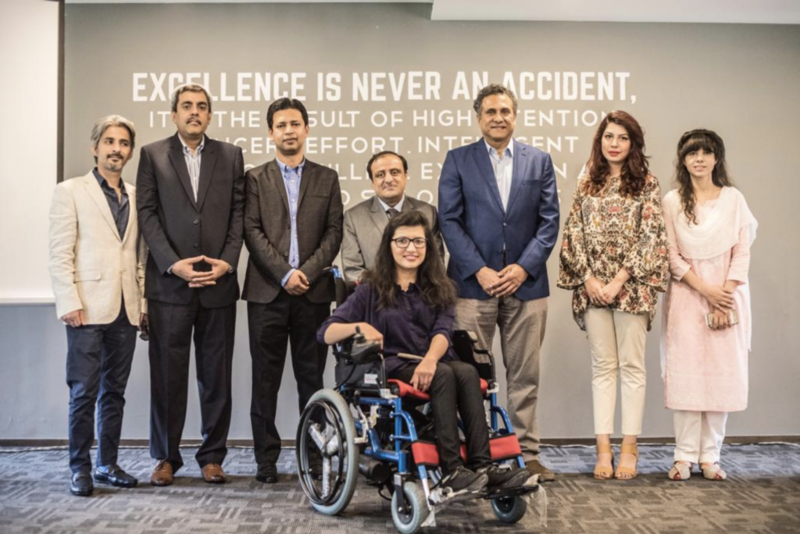 There cannot be an opportune moment for us but to launch this website on World Sight Day – Thursday, 11 October 2018 for creating awareness that resonates perfectly with the Ignite philosophy of using ICT as a tool for wealth creation and upward mobility for economically/physically challenged groups of citizens, said Mr. Atif Sheikh Executive Director STEP (Special Talent Exchange Program).